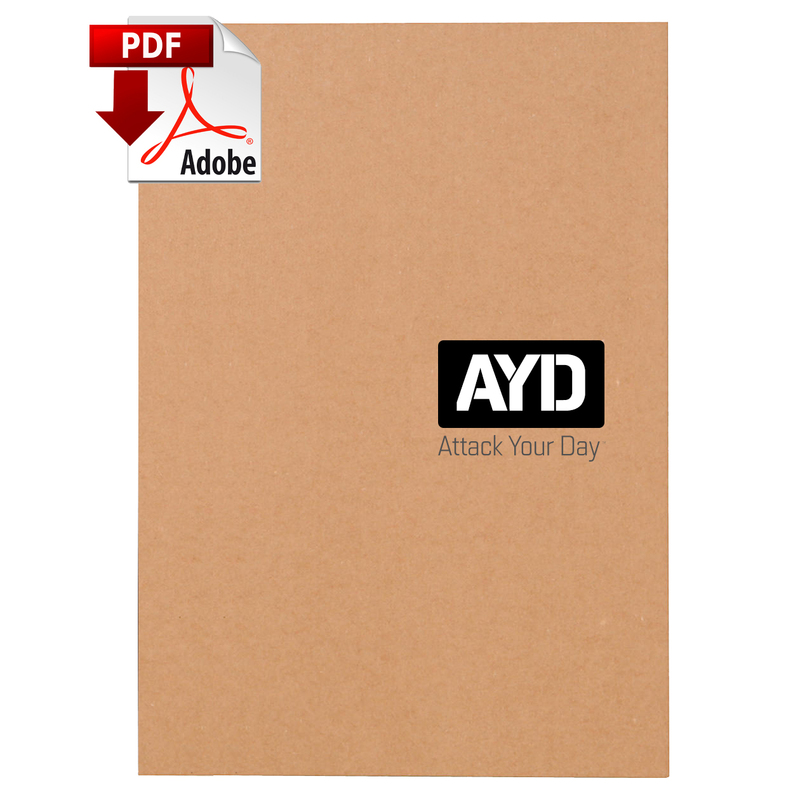 AYD Planner (PDF) - Attack Your Day! 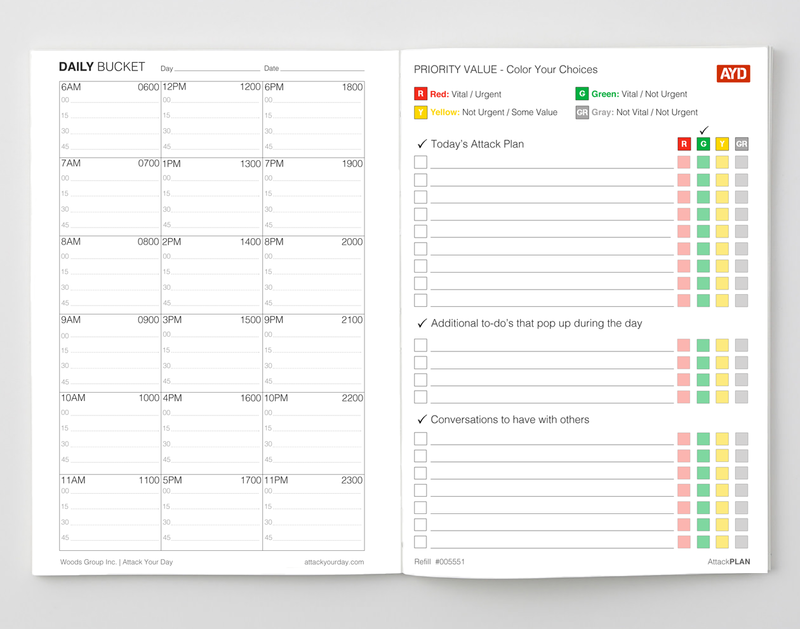 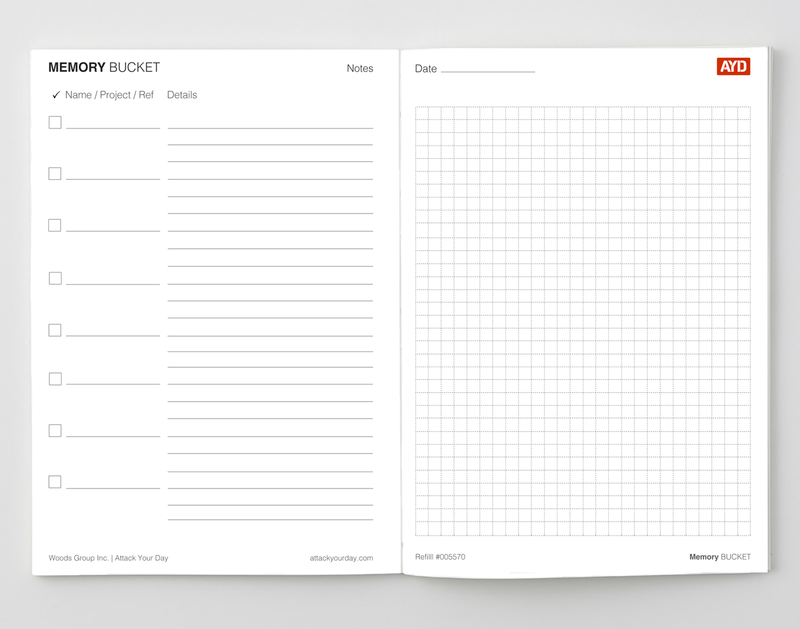 Attack Your Day Planner notebooks are designed to help organize your life using a simple, proven method for prioritizing your daily activities. 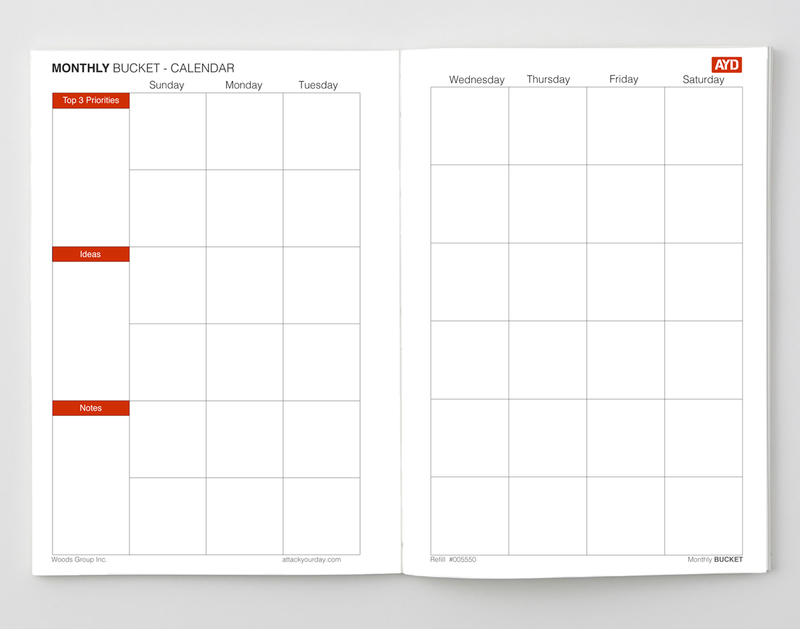 Each journal notebook features a full color, custom layout specific to the AYD methodology. 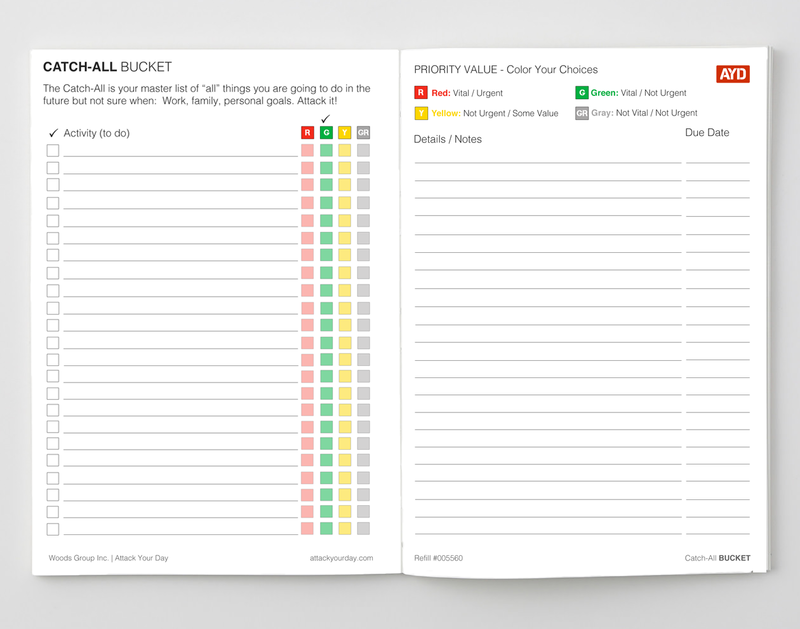 Click Here for more information about the Attack Your Day Planner.